In the meantime, instead let’s explore the treasures at Bored Panda. 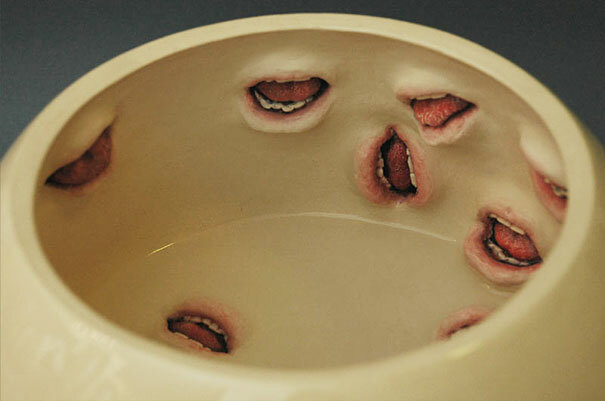 First up, we have some wonderfully creepy dinnerware by Israeli artist Ronit Baranga. 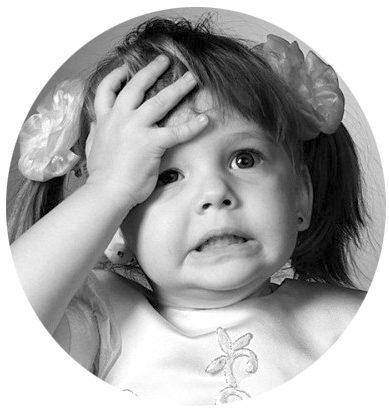 I wonder … do you have to floss the teeth? 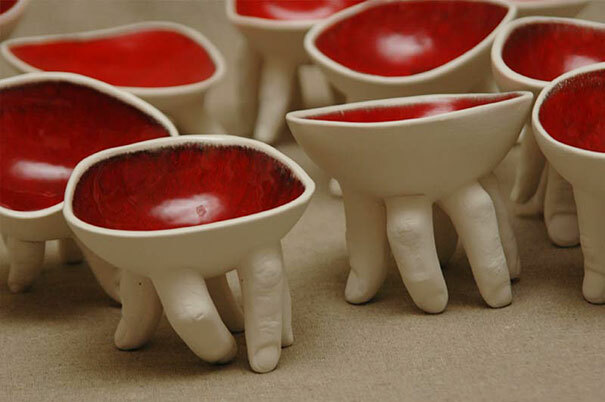 And are the fingers dishwasher-safe? Then, we have the predictable “Top X” lists: 20 Incredible Lego Sculptures, 20 Most Creative Ads on Buildings, 15 Facts About Dreams, 18 Cool Inventions, 20 Examples of Animal Camouflage, 15 Creative Guerrilla Marketing Ideas. 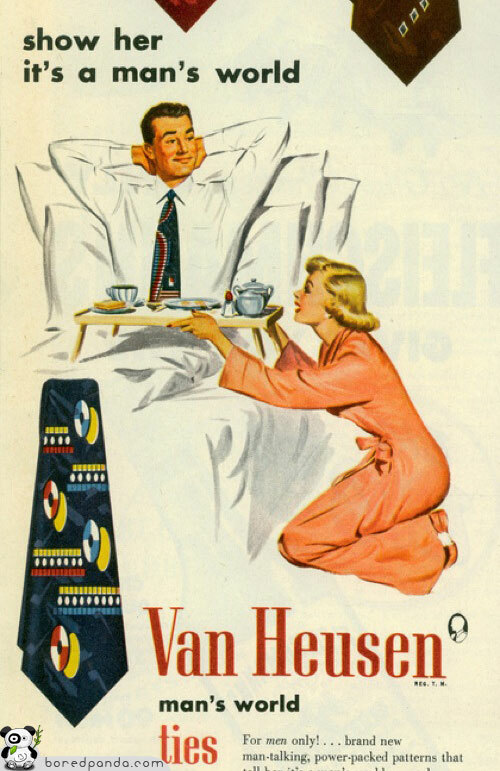 Advertising may be one of the best ways of examining a society and its culture. After all, ads are designed to shape our thoughts and turn them into action. At a fundamental level they reflect what is important to a society—or at least the ad execs’ interpretation of what’s important. That makes ads a powerful barometer of a culture’s values and mores. It’s difficult to appreciate that fact as you’re living it: Ads evolve in small, incremental steps, just as human society does. But let the ads sit for a decade or four, and the contrast between “then” and “now” is stark. 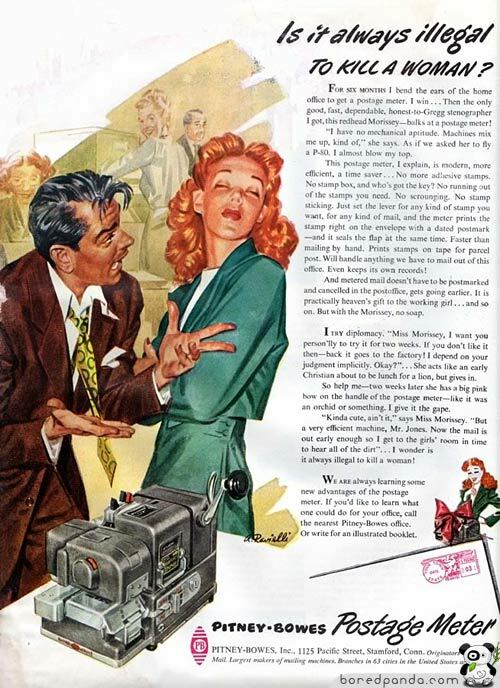 I was struck by the blatant sexism (and even misogyny) of many of the ads. For the record: Yes, it’s always illegal to kill a woman. (Yes, even if you own her.) Wow. That’s right: Your toothless, hyperactive kid will be the life of the party! 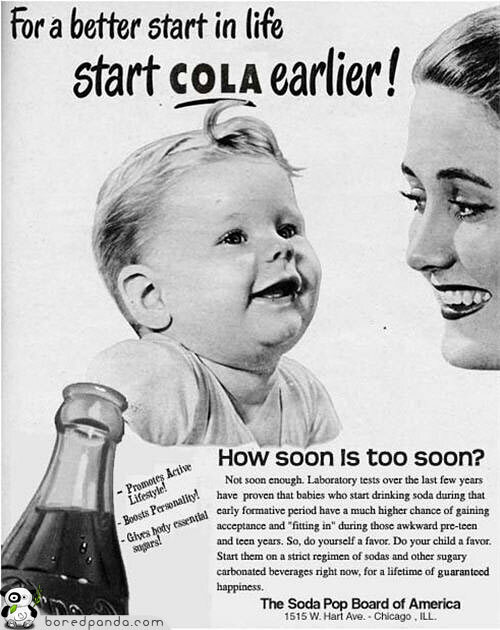 Give your child a “lifetime of guaranteed happiness” as a morbidly obese diabetic! I can’t help but wonder what today’s ads will say about us, with a few years’ hindsight. But I at least have hope that consumers are becoming more savvy (and maybe even a bit cynical) in realizing that what you see isn’t necessarily what you get. Aren’t some of these ads simply astounding? They really do illustrate how far we’ve come. 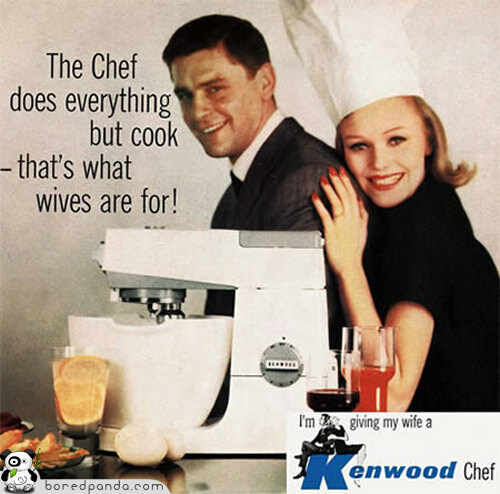 And they also make me wonder how backward and barbaric some of today’s ads will seem in 40 years’ time.